Promotional microfibre cloths for custom branding and marketing campaigns. Promotional microfibre cloths are the must-have product for any marketing or brand awareness campaign. They are perfect for any occasion where maximising your exposure over a long term is key. 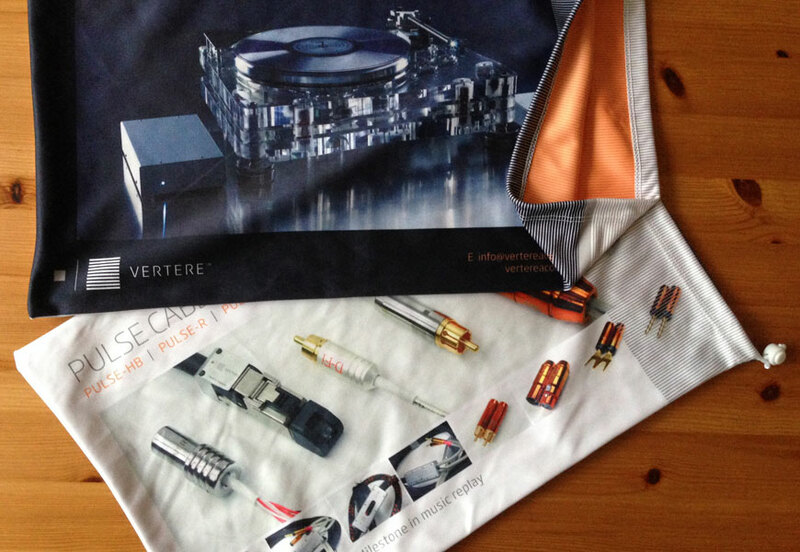 Our custom printed microfiber products are of the absolute highest quality, with a luxurious feel and thickness. 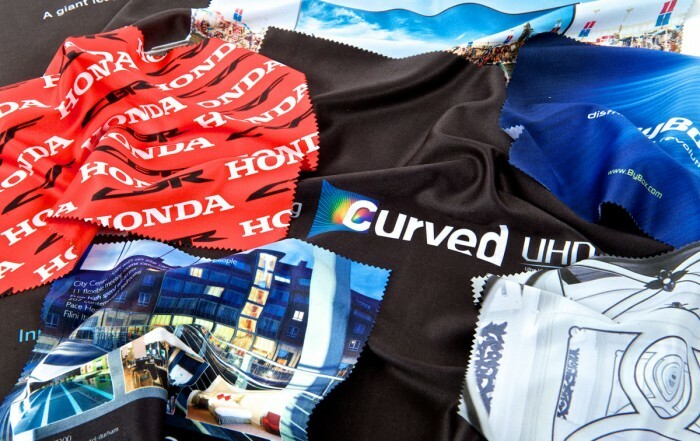 We use precise, full-colour, dye sublimation printing techniques on the microfiber cloth which provides the highest quality outcome. 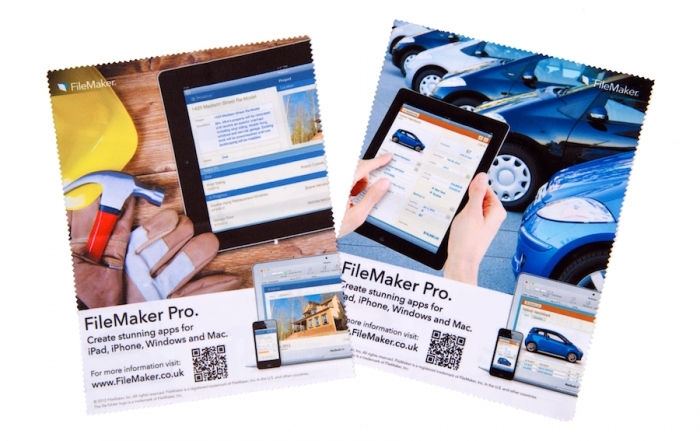 Choose from a range of promotional microfibre cloths, drawstring bags for glasses or phones, foam pouches for iPads, iPhones or tablets, branded glasses cases, lens cloths and much more. Personalised microfibre cloths are available in a variety of standardised shapes, sizes, edge cuts and finishes to suit any application. 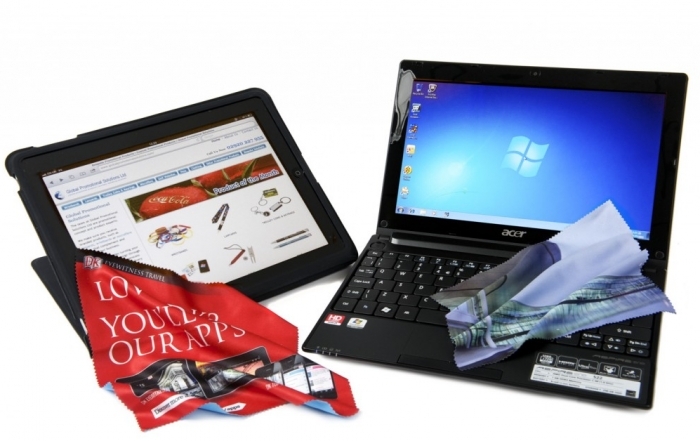 Global Promotional Solutions offers wholesale custom microfiber cloths to both UK and EU customers. 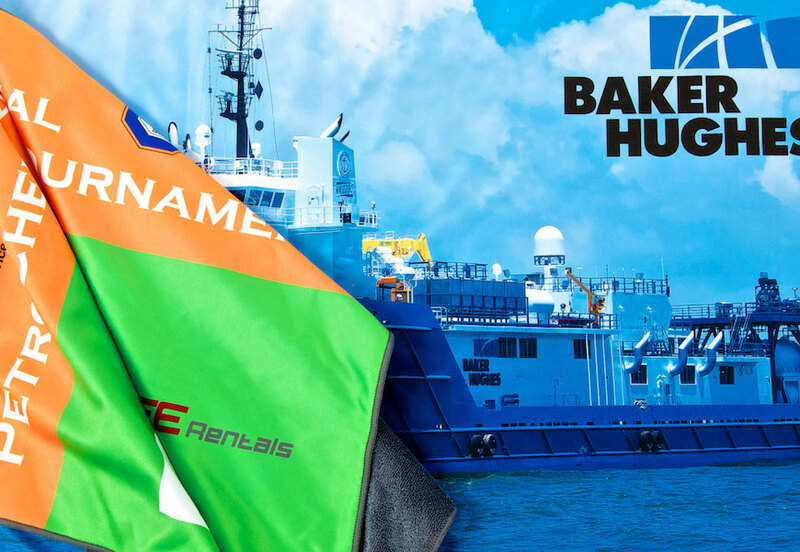 Choose from an extensive range of printed microfiber products. Further information on the promotional microfibre cloths we offer. Custom branded microfibre lens cleaning cloths. 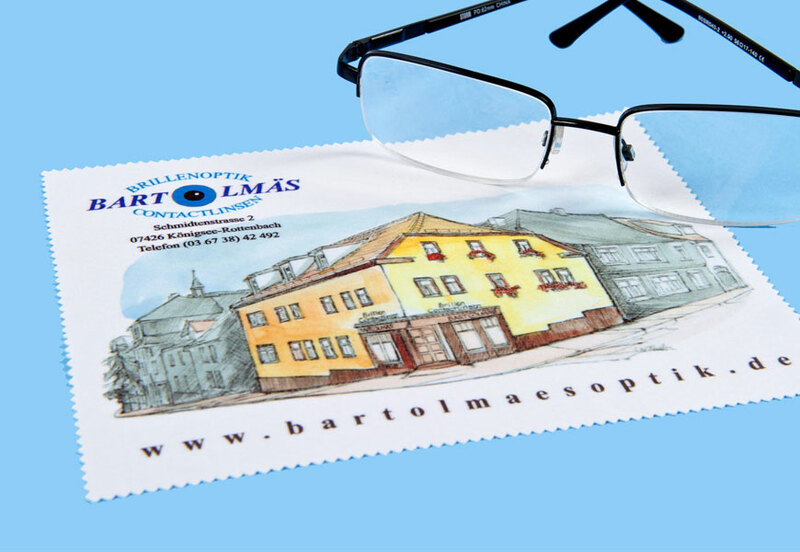 Microfibre lens cloths are ideal for removing dirt, grease or fingerprints from glasses and spectacles without the necessity for chemicals or detergents. The lens cleaning cloth is lint free with a smooth finish to avoid scratching during polishing. 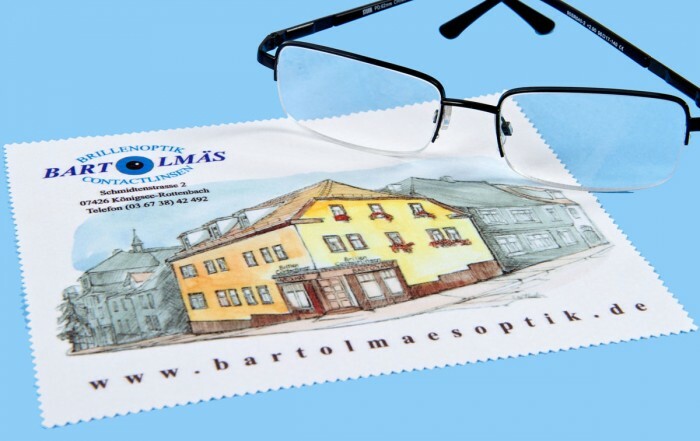 Respected brand names such as Hoya, Seiko, Zeiss, and Shamir all put their trust in this microfiber glass cleaning cloth for camera lenses and glasses cleaning. They know using these excellent quality cloths will keep their products in top condition. 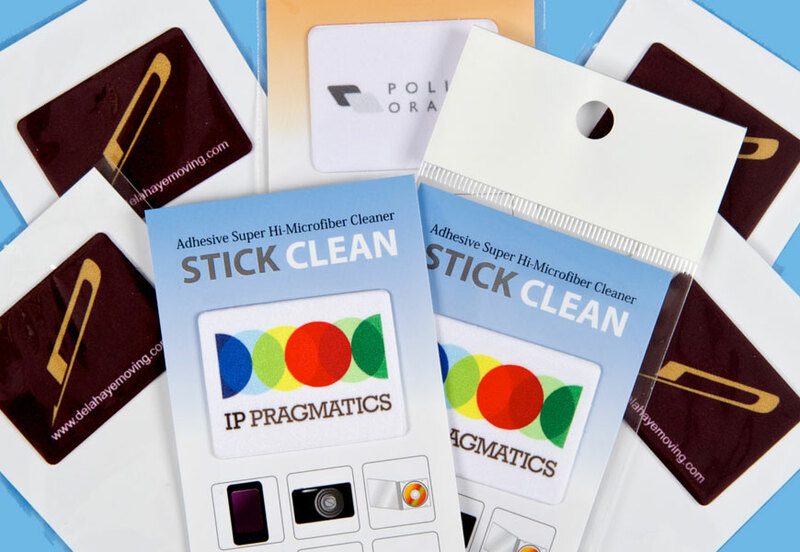 Branded microfiber cloth mini screen cleaners. Our branded microfiber cloth mini screen cleaners will stick to the back of phones without leaving a mark and will last for many months. Every time your customer holds their phone to their ear, your brand is prominently displayed to everybody around. Every time your customer dusts their screen, your brand will be seen. In this day and age, this level of exposure and awareness is almost impossible to beat! Custom printed and personalised microfibre golf towels. You’ll hit a hole in one with your customers with these custom printed microfibre golf towels. Full colour printed on one side with super soft terry towelling on the reverse, they are the epitome of luxury branding. They are ideal for reaching a target audience. The two types of cloth are sewn together with the terry towel side being available in as range of colours. Consequently, your customers will never look at you in the same way again. Personalised and branded microfibre foam pouches. Branded microfibre foam pouches are a fantastic way to personalise tablet, iPads, iPhones and other smart phones. They are made of the same high quality material that all our microfiber products are made out of. As a result, they are widely used and doubly useful as the pouch can also be used as a lens cleaning cloth. They also have an inexpensive unit cost when purchased wholesale. Microfiber drawstring bags custom printed and branded. 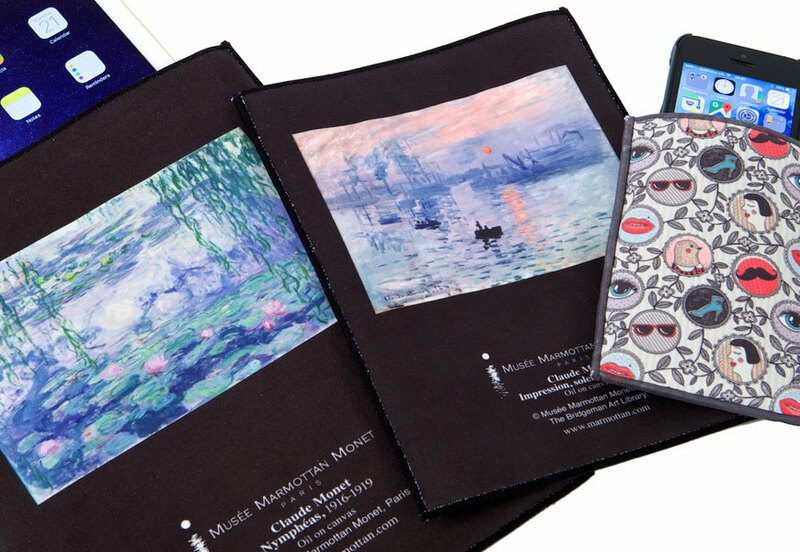 Custom printed microfiber bags are a great way to promote your company or brand. The high quality microfibre with a thickness of 250grms/sqm gives a silken high quality feel. Branded microfibre bags are available in a number of custom options. They can be used to carry all manner of items from money to iPhones, glasses and more. The durable full colour print will last for months or even years. Fancy a read? Try these related microfibre posts from our blog.